Your business has a finite amount of focus and resources to divide in between all the responsibilities. Thus, to stay ahead in the competition from other companies, it is better to focus on the essential tasks to accelerate the growth of your business. There are certain accounting software which can help you to decrease work pressure as they perform business accounting efficiently. Sage 50 is one of them. 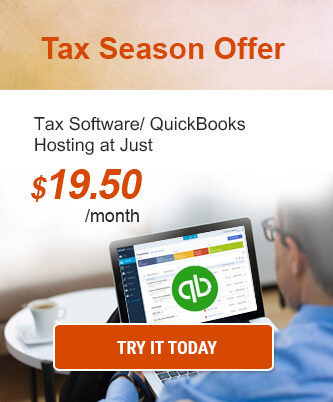 It is easy-to-use accounting software for growing businesses as well as large enterprises. It includes standard accounting solutions such as account payables, account receivable, bill payments and cash flow management. If using Sage 50 is profitable for the company, hosting it on cloud increases its benefits fourfold. Hosting Sage 50 on the cloud is increasing in popularity, but still, some companies prefer to use it locally. However, if you opt for hosting Sage 50 software before your competitors do, you will be ahead of the curve. So, here are five significant ways how Sage 50 cloud hosting can keep you ahead of the competition. The heart and soul of any company is its financial data. Any sort of security breach with the financial data can be disastrous for the company. Generally, companies think that the data is safe in their in-house systems, but it is not true. Situations like cyberattack, physical damage of hard drive, power failures, theft of the hardware, fire accidents, and explosions can risk data loss. Hosting Sage 50 on cloud keeps you away from all the stress regarding the security of data, as all the security measures for your data is taken by the cloud hosting provider. They provide you bank-level security and ensure that data is secure by using data encryption technologies, third-party audits, firewalls. Moreover, in case of any disaster, the Sage 50 hosting providers implement a Disaster Recovery plan in which all the data is saved on geographically diverse locations so that the data can be recovered conveniently. Have you at any point been in a circumstance, that you had to go back to the office to access a file you, your customer, or your accountant needed? Going back to the workplace to access data and files wastes a lot of time. With increasing competition in the market, its necessary to always stay updated, whether day or night. Sage 50 cloud hosting enables employees to access data from any place and at any time. All that is required is an internet connection to get access to your files. Companies having multiple and mobile employees can centralize their data and files and allow everyone to work on them simultaneously. There is no point in having a team if the members cannot work together. Hosting Sage 50 makes collaboration a simple process, which is an essential factor to be ahead in competition from others. 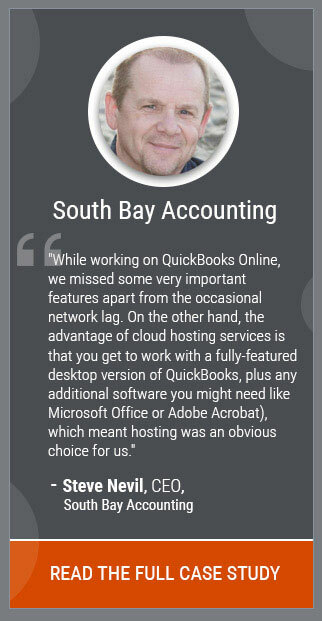 It even makes collaboration with outsourced employees, accountant, and mobile employees easy. Hosting knocks out the need to sync and copy files regularly and offers a unified platform for the employees to work in tandem. Hosting Sage 50 on cloud replaces all costs of installation, maintenance, upfront cost with one cost of monthly rentals. You may think that the monthly rentals would be very high, but that is not the case. In fact, using Sage 50 on the cloud gives the relaxation of paying according to the features you want. There is no need for dropping money on features you are not using. As your Sage 50 software, as well as data, is hosted on the cloud, it decreases the IT infrastructure needed on the premises. Moreover, you do not have to worry about the hardware upgrades and updates in the software as it is taken care of by the hosting providers. In your company, you don’t need IT personnel as all the troubleshooting tasks are handled by the skilled support team deployed by the cloud providers. Taking together all these factors saves a lot of costs which can be invested in the other departments of the business for growth. There are certain things harmful to the success of the business, like poor quality, inconsistent reporting, unable to analyze and handle financial data of the business, among others. Sage 50 cloud hosting helps to handle a huge amount of accounting data efficiently. All the documents are stored at a single place. Everyone can view and edit the same document and maintain the consistency in the data, which can avoid any human error, and have a record of any revisions and updates. Sage 50 on cloud allows efficient and secure generation of all reports which makes tasks manageable. With the help of cloud computing, the business world is shifting from analyzing data of the past events to analyzing real-time data to get the insights of the business. Balance sheet, profit, and loss can be checked in real-time for more accurate and timely advice. The speed and efficiency from the real-time data save time, increases productivity and keeps you ahead from the other competitors. One of the factors that are vital for the company to be ahead of the competition is the control over the business. You will have control over your business when you are prepared for any sought of disaster or potential hazard to the business. But, as there is no way to prevent or anticipate disaster, there is something you can do to speed recovery. Your Sage 50 cloud hosting provider offers you automatic backup facility without any additional charges. If your software is not on the cloud, then either you are risking the loss of your data and files you have saved locally, or you need to implement an extra backup system. Regular backup ensures security and data redundancy so that financial data remains untouched and secured in any scenario from power outages to natural disasters. To be ahead in the competition, it is essential to differentiate from the competitors for good reasons. 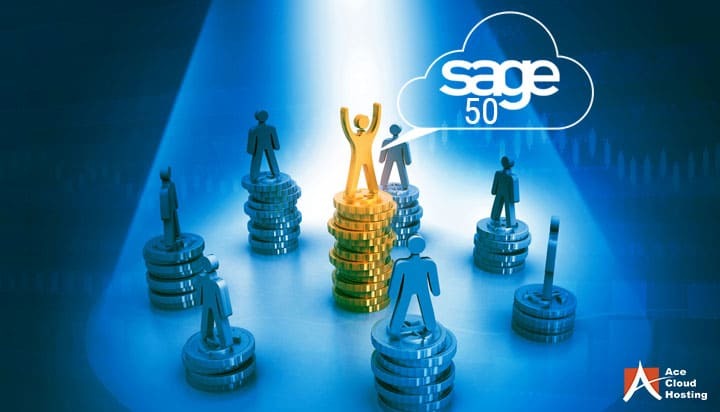 Hosting Sage 50 on the cloud will keep your company ahead in competition because it increases security and productivity; decreases cost; and has a great backup facility. Hosting sage 50 on the cloud will help you to reach your business goals before competitors think of doing so.